Salus Hearing Centre - Why Salus? Salus Hearing Centre is independently owned and operated by Sabrina DeToma, Vaughan’s first Doctor of Audiology. Sabrina DeToma is one of 4% of licensed Audiologists in Ontario with an Au.D. Degree, the highest academic credential in the field of Clinical Audiology. 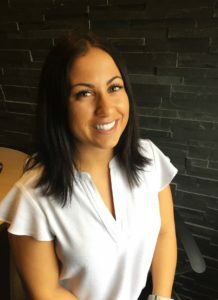 Sabrina DeToma has over 10 years experience working at St. Michael’s Hospital (Toronto), North York General Hospital and various private practices in the Greater Toronto Area. She also holds an adjunct faculty position at Georgian College within the Communicative Disorders Assistant program. Her specialty area is in the hearing-related conditions of Tinnitus and Hyperacusis. She is one of two Audiologists in Ontario with a post graduate certificate in the Advanced Studies of Tinnitus and Hyperacusis. Sabrina DeToma uses her expertise, together with leading edge diagnostic tools and state of the art equipment and technology, to meet your hearing needs. Her focus is on preventative hearing healthcare. She works closely with other health professionals to offer a holistic approach to hearing healthcare. Alannah is an Audiology Assistant at Salus Hearing Centre. Alannah received her Bachelor’s of Arts in Speech and Language Sciences at Brock University and completed a post-graduate certificate in the Communicative Disorders Assistant program at Georgian College. She has been working in the speech pathology and audiology field since 2015. Alannah has experience providing services and therapy for paediatrics, adults and geriatrics. Her passion is to educate and promote overall hearing health and communication. Christine is our friendly front office receptionist at Salus Hearing Centre. Christine is the voice and face of our practice, answering our patient’s calls and welcoming them to our clinic. She enjoys helping our patients learn about the various services we provide and products we sell to help them hear better and protect their hearing. She can also troubleshoot hearing aid issues over the phone and in person. She is fluent in Italian. Dr. Sharon Morong is an Otolaryngologist (ENT) and lead surgeon of Vaughan Otolaryngology Surgeons and Associates. She received her Doctor of Medicine and Master of Science degrees, and completed her residency in Otolaryngology- Head and Neck Surgery at the University of Toronto. She also has international expertise in sinus and sleep disorders, and is fellowship trained in Rhinology, Sleep Medicine and Sleep Surgery, with research publications and book chapters in these fields. She is a consultant to Salus Hearing Centre for any hearing related and ear issues that warrants medical or surgical attention. Dr. Lukas Kus is an Otolarygologist and an Associate Surgeon at Vaughan Otolaryngology Surgeons and Associates who operates out of Mackenzie Health. He received a Master’s of Science degree in Molecular Biology from the University of Toronto and then received his Doctor of Medicine at Queen’s University. He completed his residency in Otolaryngology – Head and Neck Surgery at the University of Toronto. He was previously been an associate editor of Hypothesis Journal, a peer-reviewed, open-access scientific journal. He is fluent in both French and Polish. Dr. Amanda Beaman is a registered clinical psychologist and has been practicing in the field since 2008. She completed her undergraduate training at McMaster University, and doctoral training at Concordia University. She also completed her clinical training in Toronto at the Centre for Addiction and Mental Health (CAMH) in the Mood and Anxiety Program. Dr. Beaman continued to work at CAMH for a number of years treating individual patients, developing and running CBT group therapy programs and training doctoral students in CBT. Currently, she is busy running workshops across Ontario providing CBT training for health care professionals. Dr. Beaman is also the director of York Region CBT and founded York Region CBT in 2014. 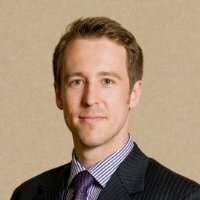 Dr. Beaman is a credentialed member of the Canadian Association of Cognitive and Behavioural Therapies (CACBT), and is an registered provider for Veteran’s Affairs Canada. Dr. Aline Rodrigues received her PhD in Counselling and Clinical Psychology from the University of Toronto (OISE/UT). She is an associate psychologist at York Region CBT. She completed her predoctoral residency at the Counselling and Psychological Services program at the University of Toronto and the Psychological Trauma Program at CAMH. Dr. Rodrigues has experience providing assessment and treatment for adults with a variety of mental health challenges, including depression, anxiety, perfectionism, self-esteem issues, life transitions, relationship problems, and stress management. She has trained in evidence-based treatments including CBT and Emotion-focused Therapy (EFT), and when appropriate integrates interventions across therapeutic approaches to help clients achieve their goals. Dr. Rodrigues also trained at the Mental Health Program at North York General Hospital and the Outpatient Program at the Ontario Shores Centre for Mental Health Sciences. 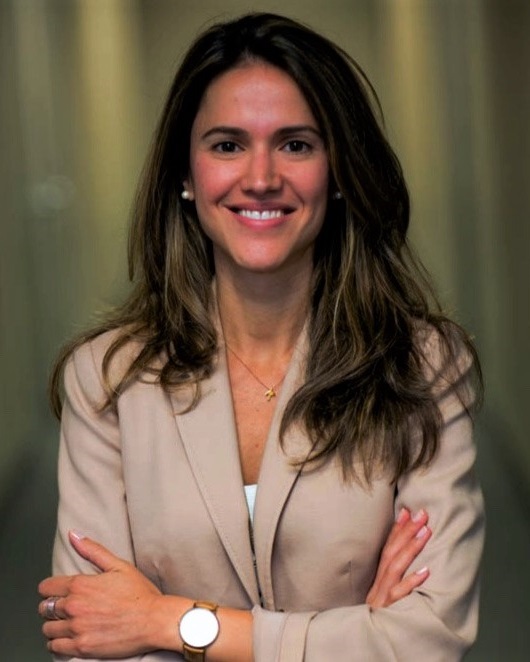 Dr. Rodrigues has also participated in clinical research through her involvement with the evaluation of the Outpatient Eating Disorders Program at Lakeridge Health Oshawa and as a clinical therapist on a pilot study examining effective treatments for Generalized Anxiety Disorder. Dr. Korotkevich received her PhD in clinical psychology from Concordia University and is currently registered with the College of Psychologists of Ontario. She has provided treatment for adults and adolescents in a variety of treatment facilities including the Waterloo Region Psychology Consortium, the University Health Network, Toronto Western Hospital, Ontario Shores Centre for Mental Health Sciences and in private practice. Dr. Korotkevich provides treatment for individuals dealing with mood disorders, stress-related problems, trauma, anxiety disorders, obsessive-compulsive disorder, specific phobias, pain and illness-related disorders, eating disorders, and interpersonal difficulties. She views therapy as a means of helping clients build on their existing strengths and discover new ways that improve coping, enhance quality of life, and help them achieve their personal goals. She is passionate about providing evidence-based treatment for her clients, which is tailored to each individual’s needs. 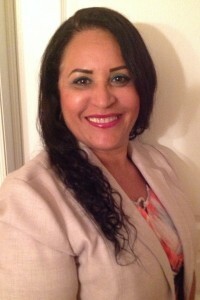 She has training and experience in a number of psychotherapy approaches including, Cognitive Behavioral Therapy (CBT), Acceptance and Commitment Therapy (ACT), Mindfulness-Based Cognitive Therapy (MBCT), Dialectical Behavior Therapy (DBT), Emotion-Focused Therapy (EFT), Solution-Focused Therapy, and Motivational Interviewing. Dr. Korotkevich is also able to provide services in Russian. Valda Lopo, C. Psych., is a registered psychologist and member in good standing with the College of Psychologists of Ontario. Her areas of competency are in clinical, school, and counseling psychology with children, adolescents and adults. Over her 20-year career, Valda Lopo has held positions in women’s shelters, community mental health agencies, school boards, private psychology clinics, and university-affiliated teaching hospitals (McMaster Children’s Hospital and Hamilton General Hospital). This breadth of experience has led to the development of a high level of competence and expertise in working effectively with people who are struggling with a range of psychological issues and conditions of varying complexities. As an associate at Salus Hearing Centre, Valda Lopo will be offering evidence-based psychological treatment including cognitive behaviour therapy sessions for clients with tinnitus and hyperacusis and mindfulness-based stress reduction individual sessions and group workshops. Valda Lopo is fluent in English and Portuguese. Please call us at 289-963-1512 to book an appointment today!